Migration problems are not new in human society, with the lure of good job opportunities or social services drawing a populace struggling under oppression or dealing with starvation to cross a border legally or illegally. Mexicans have been crossing the Rio Grande for decades, Chinese workers unloaded amid the cargo at San Francisco ports, starving N Korean children sneaking into China in desperation, and increasingly during the wars in the Middle East, migrants crossing the Mediterranean in boats to get to Europe – the land of jobs and social services. Migrants land in France and try to cross to the UK via the Chunnel. Boats leaving Libya for Italy regularly sink, drowning hundreds. Per the Zetas in 2003, the reaction of governments to the increased press to migrate during the anticipated Earth changes will be to tighten the borders. The tunnel, also known as the Chunnel, runs 50 kilometers (31 miles) from a point near Calais, in northern France, to Folkestone, in southeastern England. In just the past two days, 3,500 migrants have tried to cross the Channel Tunnel between France and the United Kingdom -- a dangerous breach that has paralyzed traffic and resulted in at least one death. Calais has long been a gathering place for migrants trying to find a way into the UK. This year alone, Eurotunnel has intercepted 37,000 migrants. France and Great Britain agreed to work together "to return migrants, particularly to West Africa, to ensure that people see that making this journey does not lead to them coming to Europe and being able to settle in Europe." Libyan authorities were collecting the bodies of migrants who drowned off the coastal city of Zuwara, in the latest disaster involving desperate people trying to reach Europe. The United Nations refugee agency said that up to 200 people were missing and feared dead after the Libyan coast guard carried out rescue operations for two boats carrying an estimated 500 migrants. The civil war in Libya has made it easier for smugglers to transport people through the country. As a result, the number of people fleeing war and poverty in Africa and the Middle East to reach Europe via the Mediterranean Sea has surged since last year. 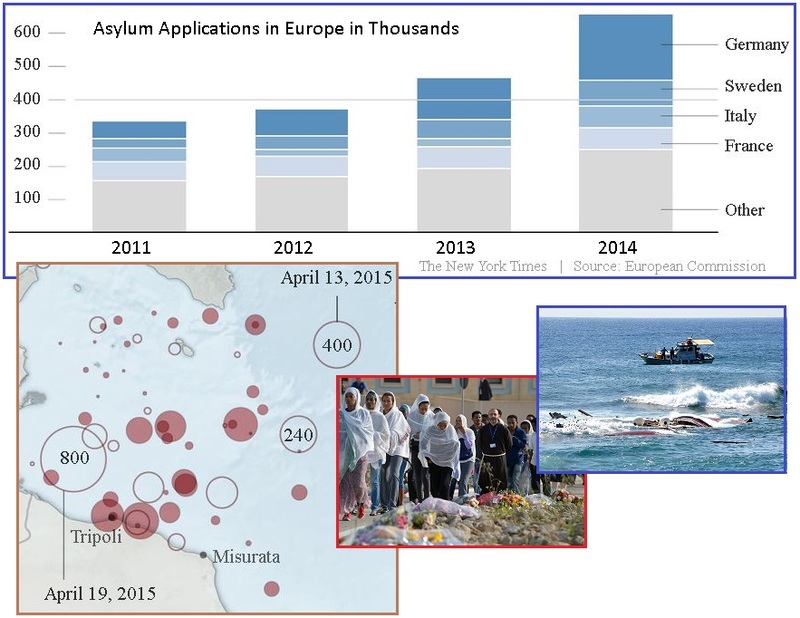 So far this year more than 1,800 migrants may have drowned attempting the journey. ZetaTalk Prediction 1/7/2003: Travel restrictions will likely be imposed by governments in response to migrations, but not until this occurs. Thus, this will vary by country, within country, and in truth is in place long before pole shift issues such as weather changes and increasing starvation occurred. Thus, until the week going into the shift, when all controls are likely to be lifted due to distraction by those assigned to enforce the restrictions, any number of controls may be imposed, and suddenly, based on Earth changes. So how is Europe doing? Not well. The press to gain access to Europe has now shifted to a land route via Turkey through Greece and thence overland to Hungary or Austria. Serbia and Macedonia have told a summit in Vienna the EU must come up with an action plan to respond to the influx of migrants into Europe. Austria has complained that the EU has failed to address the problem of people entering via the Western Balkans. Germany says it expects at least 800,000 people to seek asylum in the country this year - far more than any other EU nation. Austrian police have confirmed that between 20 and 50 refugees have been found dead in a tractor trailer in the country's east. It appears the migrants, whose bodies have begun to decompose, suffocated in the back of the truck. Screaming in agony, a young migrant girl gets her hair tangled in barbed wire as her family scramble through mud seeking a better life in Europe. Some 3,241 migrants, including almost 700 children, arrived in Hungary yesterday alone, the highest ever number, according to police. 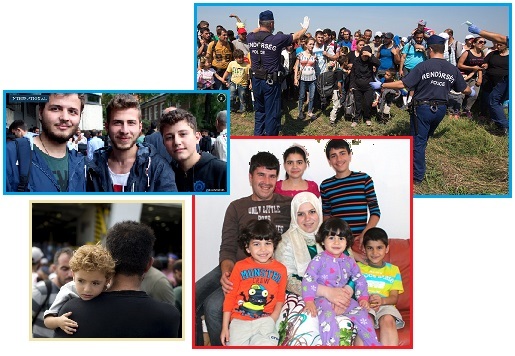 Most of the migrants had begun their gruelling journey in Syria, Afghanistan or Pakistan. With the flow continuing at a steady pace in Greece, which is setting up boat transits from its islands to the mainland for dozens of thousands of people, and Macedonia having cleared the backlog, thousands arrived in Serbia overnight. More than 5,000 have entered the country to transit north before they cross by foot into Hungary and Europe's borderless Schengen zone. Macedonia has been asking the EU to step up its own efforts and criticized its neighbor Greece for dealing with the refugee crisis in a way that made the migration pace over to its borders completely incompatible with processing abilities. ZetaTalk Comment 9/5/2015: The Middle East has become a horror with ISIS roaming about killing the populace with abandon. Efforts to get the countries there to fight ISIS runs into the age-old religious battles between Sunni and Shia. ISIS lives between the fractures, like a sadistic horde that cannot be stopped. War torn Afghanistan and Pakistan are hardly better. These migrants do not run north into Russia or its satellites as these borders are well guarded and refuse any migration, a long standing practice. Word gets around, and the word has always been that Europe welcomes migrant workers, and will put immigrants on the welfare dole. Migrants, like water, will flow in the direction of least resistance. Thus Europe finds itself the target of frightened and desperate immigrants trying to reach what they have always heard was a welcoming land of opportunity and security. They are not so much running to security as running from homelessness and starvation and perhaps a brutal death at the hands of ISIS. They cross the Mediterranean in boats and then attempt to infiltrate the UK via the Chunnel. 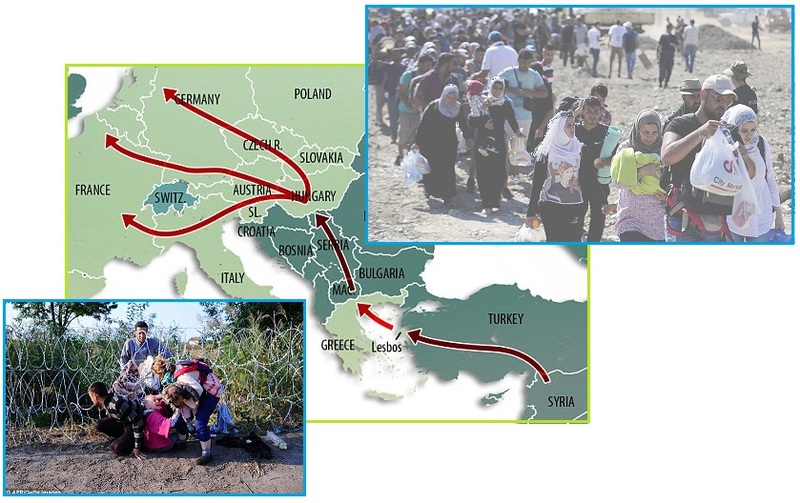 They flood into Greece from Turkey, both countries moving the flood of migrants along as quickly as possible until they pile up at the border of Austria or Hungary. 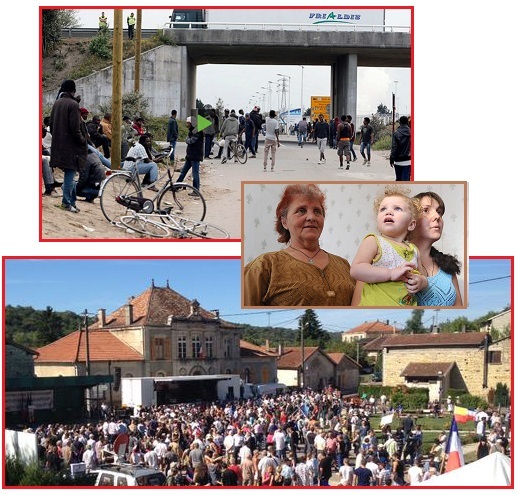 Does Europe block them, creating a humanitarian crisis, absorb them, or find yet another solution for what threatens to become a flood ten million strong? Only recently, Europe was seeking immigrants to fill job slots. Now with the global depression changing the situation, these immigrants are being returned. But the word, apparently, has not reached the desperate. What is the solution? The Zetas predict that where Europe has been slow to react, it is inevitable. The borders will be tightened. And if migration is like water, as the Zetas say, where will they flow next? Hungary plans to tighten laws on migration next week and set up holding camps near Serbia but would only send soldiers to help police at its southern border as a last resort. Transit zones near the Serbian border would hold migrants while their asylum requests are processed and that could take several days. Throughout their journey from Syria to Europe, Ahmed Khuzami and his little brother Abdul-Rahman viewed Germany’s capital as the shining light at the end of the tunnel. As they crossed the Aegean Sea from Turkey to Greece on a dangerously overcrowded rubber boat and as they sprinted across fenced borders in Macedonia and Serbia and hid in dense forests to avoid Hungarian police - they reached the heart of Europe’s wealthiest country. The German government announced it is expecting to register 800,000 asylum applications in 2015 — quadruple the number of applications processed last year. Germany’s Federal Office for Migration and Refugees has added 650 staff members in the past year, and supplementary budgets to deal with the increase were recently approved on a national level by the German government and on a state level by the Berlin Senate, enabling 1,000 additional new staff members to be hired in the coming months. Nevertheless, with every passing day, the line at the Health and Welfare office keeps getting longer. As criticism mounts over the bloc’s response to the crisis, Germany said it has stopped returning Syrian asylum-seekers to their first EU port of entry, becoming the first member state to effectively simplify the application process for those fleeing the brutal civil war. Under the so-called Dublin rules, the first EU country where an asylum-seeker arrives is usually required to process the claimant’s application. In practice, this means countries on the EU’s borders like Greece or Italy are overwhelmed with applications as thousands arrive on their shores after a dangerous journey across the Mediterranean. ZetaTalk Comment 9/5/2015: Europe has been slow to establish a policy because there simply isn’t a viable solution. A huge percentage of the world is essentially bankrupt, unable to meet the growing demands of their citizens. Governments are running scared, squeezed between economic downturns that refuses to abate and Earth changes they fear will only get worse. When asked to take in refugees, Heads of State quiet shake their heads. There are no offers. We have predicted that countries will get increasingly strict when faced with a flood of refugees. Those who are already brutal will get increasingly brutal. Just where the push back occurs in Europe is yet to be seen, but it is surely coming. Indeed, attitudes toward immigration are changing, and are being put to the test. Russia opens their borders to those they consider Russian in the war stricken Ukraine. But France and Sweden are re-thinking their lax rules. Marine Le Pen, leader of France’s right-wing National Front party, declared that immigration should be brought to a halt, calling for the country’s borders to be closed. Meanwhile, the far-right Sweden Democrats say a referendum should be held on the issue. Having accepted 80,000 refugees last year, Sweden has taken on the burden of accommodating the largest number of migrants in the EU as a percentage of the native population. Sweden’s migrant-friendly policies have long made it one of the most favored destinations among asylum-seekers. Maintaining that the practice of providing social and medical support to asylum-seekers should be put to an end, Le Pen also suggested that Islam should not be welcomed in France. Well-known for her anti-migrant rhetoric, Le Pen’s speech comes not only at the kickoff of the new political campaigning season in France, but also in the midst of the worsening refugee crisis in Europe. As 3,000 migrants arrive daily at the Macedonian border en route to the EU, with over 2,500 crossing from Serbia into Hungary in just one day this week, European leaders have yet to agree on comprehensive measures to deal with the wave of refugees. Over 1 million people have moved to Russia from southeast Ukraine since the beginning of the armed conflict and about 600,000 of them decided never to return home, the head of the Federal Migration Service says. In the same interview, Romodanovsky said that his agency was actively fighting illegal migration and over the past 2.5 years they have managed to detain and send back about 1.5 million people who tried to get on the Russian territory by bypassing the rules. 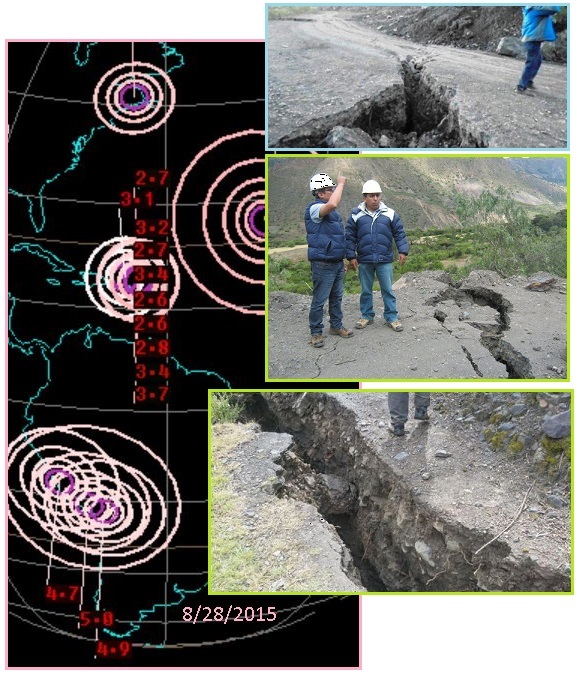 The S American roll is in process, as we noted in Issue 463 of this newsletter when the Kick’em Jenny subterranean volcano awakened and a magnitude 6.6 quake struck near Barbados. But what about the western edge of the Caribbean Plate? Panama is on a platelet, a small piece that is sometimes considered independent of the Caribbean or S American Plates, but in the main is considered part of the Caribbean Plate. This Panama platelets is shoved around from all directions – by the Caribbean Plate, the S American Plate, the North Andes Platelet, the Nazca Plate, and the Cocos Plate. The Panama locks are right in the middle of this little platelet, and the locks are in trouble. The crack and subsequent leaks appeared recently in the concrete of one of the interior chambers of the new Cocoli Locks on the Pacific side of the waterway during testing of the new locks. The main contractor for the Third Set of Locks project, issued a statement last Friday acknowledging the leaks, but has since gone quiet. ZetaTalk Prediction 12/4/2010: Since Panama and the other countries in Central America are situated on the Caribbean Plate, they will be pushed over the Cocos Plate with great trauma to these countries. 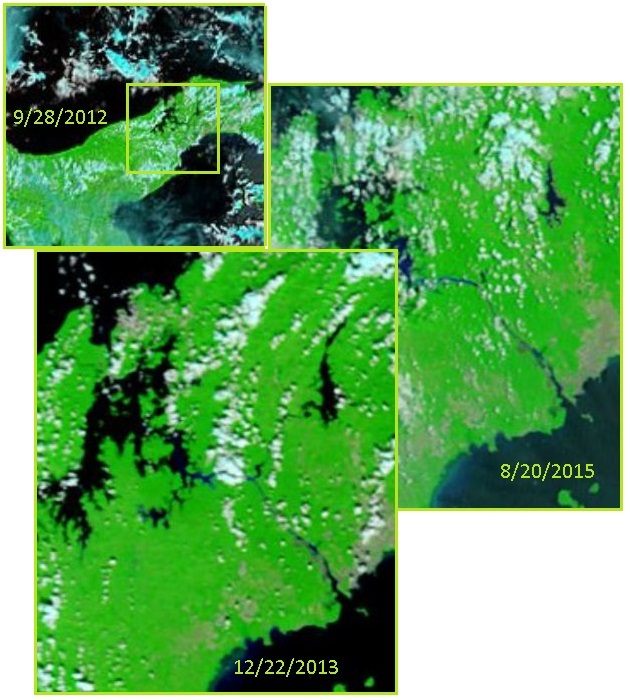 MODIS images do not yet show a breach of the locks. No discernable change between 9/28/2012 and 12/22/2013 and 8/20/2015. The S America roll is palpable in the stress along the Andes too, where the S American Plate is pushed over the Nazca Plate. 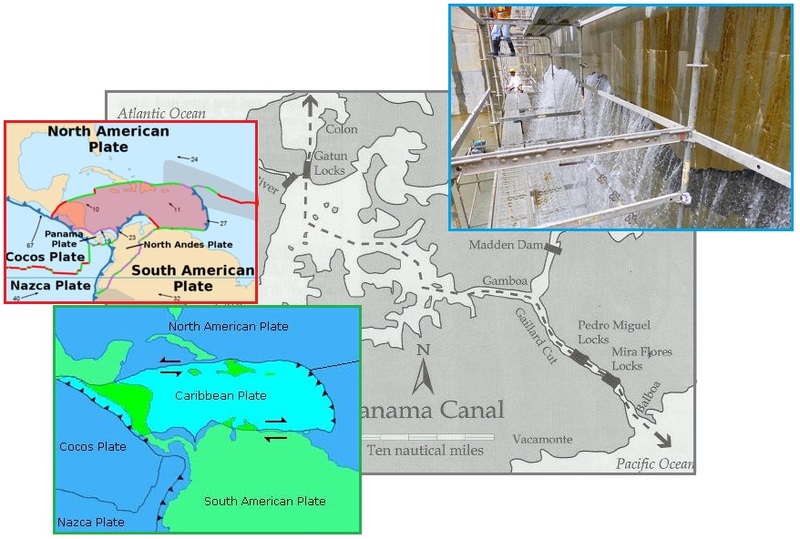 If the Panama locks cracked on August 27, it is no surprise that huge cracks appeared in Peru on August 21, as noted in the Pole Shift ning blog dedicated to the S American roll. At least 19 towns in the district Piscobamba, Ancash region, Peru are in state of emergency due to new landslides that caused large cracks in the soil and fear in the population. In May, the Peruvian government declared an emergency in the district of Piscobamba for 60 days because of the damage left by the landslide and creeping ground. Landslides, rains and drainage caused the collapse of 100 houses in this county, and authorities moved to place reviewed the status of damaged infrastructure. When Malala survived her assassination attack, the Zetas stated her survival had been assisted, the trajectory of the bullet slightly altered so her brain was not damaged nor her brain stem severed. Injury yes, but recoverable. Malala went on to be the brave saint she is in the media, worldwide, a force against the brutality of the Taliban. Did something similar happen in the recent aborted massacre aboard a high speed train in France? Yes. Per the Zetas, the news is filled with horror stories about ISIS and their brutality. The pushback against this brutality is hindered by mixed loyalties in the Middle East. Saudi Arabia is Sunni as is ISIS, but Iran is willing to fight ISIS as Iran is Shia. ISIS is mixed in with the freedom fighter's push against Syria’s Assad, so US funding for the freedom fighters is actually funding ISIS. Then there is Turkey, which considers the Kurds a group to be countered, calling them terrorists. Oops, the Kurd’s are the most effective fighting force against ISIS, and the US is arming them. The US enlisted Turkey in the fight against ISIS and the first thing Turkey did was bomb the Kurds. Given all of this, those fearing ISIS is infiltrating Europe and the US must be overwhelmed with helplessness. Thus, per the Zetas, the Council of Worlds granted an exception to the Rule of Non-Interference. Spencer and his crew were assisted. The violent encounter was over in barely two minutes. But if not for the quick action by the two American servicemen and the suspect’s malfunctioning automatic rifle, many lives would have been lost. “It could have been a real carnage,” said Chris Norman, a British businessman who also helped restrain the suspect after he had been subdued. After the suspect was restrained, Mr Skarlatos - who only recently returned from a tour of Afghanistan - began disarming the gunman's pile of weapons and realised the AK-47 had jammed. "He didn't know how to fix it, which is very lucky". Mr Skarlatos added: "We just did what we had to do. You either run away or fight. We chose to fight and got lucky and didn't die." The first heroic passenger to wrestle a weapon from the train gunman was named last night as Frenchman Mark Moogalian. 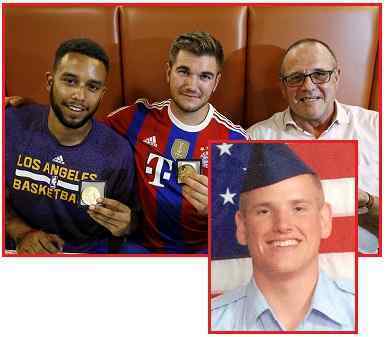 His actions together with those of Alek Skarlatos, Spencer Stone and Anthony Sadler as well as Chris Norman helped to save many lives. Mr Magoolian tackled the Kalashnikov assault rifle off the gunman, who then drew a sidearm and shot him in the neck before taking back the rifle, his sister revealed. ZetaTalk Admission 8/29/2015: The Kalashnikov is not known as a tricky automatic weapon. It is reliable and easy to use, thus its popularity over the years and around the world. So what prevented this Kalashnikov from spraying the train passengers, as was clearly his intent? The trigger has been pulled. A second curiosity is the missing magazine for the attacker’s handgun. This is not something that would pass notice when one prepares for a massacre. Were the heroes assisted? Intervention is not unknown, as we recently reported on the matter of the apparently miraculous rescue of infants, or protection of some individuals from assassination. The world is polarizing, with acts of sadistic control such as ISIS displays and touts almost daily balanced by heroism such as Malala displays. Malala’s light stands as an example of heroism against oppression, and indeed her survival was assisted, in a heartbeat, by the Council of Worlds allowing an intervention. The four heroes on the French train did not think of themselves, but knew that unless the attacker were disarmed all on that train would be massacred. 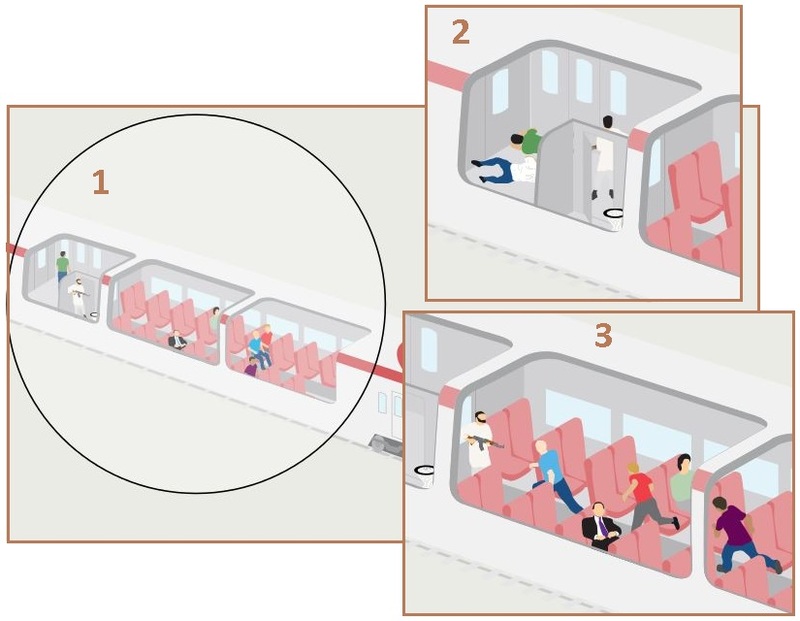 Unlike the train staff who barricaded themselves and turned a deaf ear to the passengers they left to be slaughtered. Now, as with Malala’s light, we will have Spencer’s light. An example for others to follow.